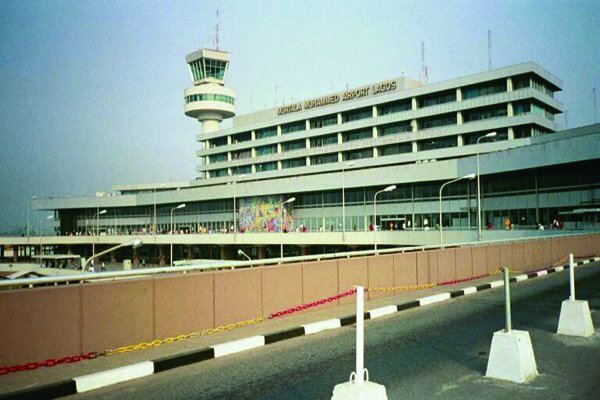 Nigeria’s premier gateway, the Murtala Muhammed International Airport, Lagos on Monday became the first airport in the country to be accredited by the Nigerian Civil Aviation Authority (NCAA). The development makes the airport the first to be certified, out of the 22 airports managed by the Federal Airports Authority of Nigeria (FAAN). The certificate was formally presented to the Managing Director of FAAN, Mr Saleh Dunoma, by the Director- General of the NCAA, Capt. Muhtar Usman, at a ceremony at the NCAA’s headquarters in Lagos. In his speech, Usman said the certificate was valid for a period of three years, noting that all hands must be on deck to ensure that the certification was sustained. He said the current drive toward certification of Nigerian airports was significant not only as a requirement by the International Civil Aviation Organisation (ICAO) and Nigerian civil aviation regulations but even more importantly as one of the critical safety targets of the Federal Government. The director-general said that the declaration which was made in July 2012 mandated all African countries to certify their international airports. He described the accreditation as an enabler for the attainment of a regional hub, which Nigeria desired for Lagos and Abuja. “Aerodrome certification can be defined as a process by which a state can demonstrate that airports in its territory meet regulatory safety requirements on a continuing basis. “It is providing uniform conditions for safe and efficient operation of aircraft from all other states as required by Article 15 of the Chicago Convention. Usman said the objective of the certification was to assist states to effectively implement the critical elements of a safety oversight system in accordance with Annex 14 Vol. 1and other relevant ICAO specifications. The NCAA boss said it was also to signify to aircraft operators and other organisations operating at the aerodrome that at the time of certification, the aerodrome met the specifications regarding its facilities and operations. He stressed that the NCAA was committed to the certification of all Nigerian international airports in line with its regulations, ICAO safety and recommended practices as well as the Africa-Indian Ocean Regional Safety Targets. "In furtherance of the above objective, the certification of Abuja airport is in the final stage, while strategic measures have been put in place by the NCAA and FAAN to ensure the certification of Kano, Port Harcourt, Enugu and Kaduna international airports by July 2018,” he said. Also speaking, Mr Mohammed Odonowo, Director of Aerodromes and Airspace Standards of NCAA, said the certification, which was done in five phases, was of immense benefit to aviation stakeholders and the travelling public. “The expected benefits of aerodrome certification include enhancement in the provision of safety critical aerodrome facilities, services, procedures and personnel. "It also includes enhancement in collaborative decision making amongst airport stakeholders, especially between the aerodrome operator and the NCAA. He said further that the certification would facilitate the development of regional hubs through improved capacity, safety and efficiency and attract inflow of capital investments into airport development and management. Also speaking, Dunoma said he was delighted that the certification of the Lagos airport which took two and a half years had finally been achieved. He stressed that focus was now on getting accreditation for the Nnamdi Azikiwe International Airport, Abuja and other airports in the country. “We are going to make sure that this certification is sustained. We have come up with a sustainability programme which was accepted with a few corrections.